Spending more time indoors during the winter may be a great way to recharge during the season, but by now you’re probably bored with your current décor set up. And likely so, after all, how often can you be inspired by seeing the same thing inside day after day. That said, nothing beats the revitalizing effect of a thorough spring home makeover. But where do you begin, and how do you get the feel right without overthinking it or spending too much time and money? 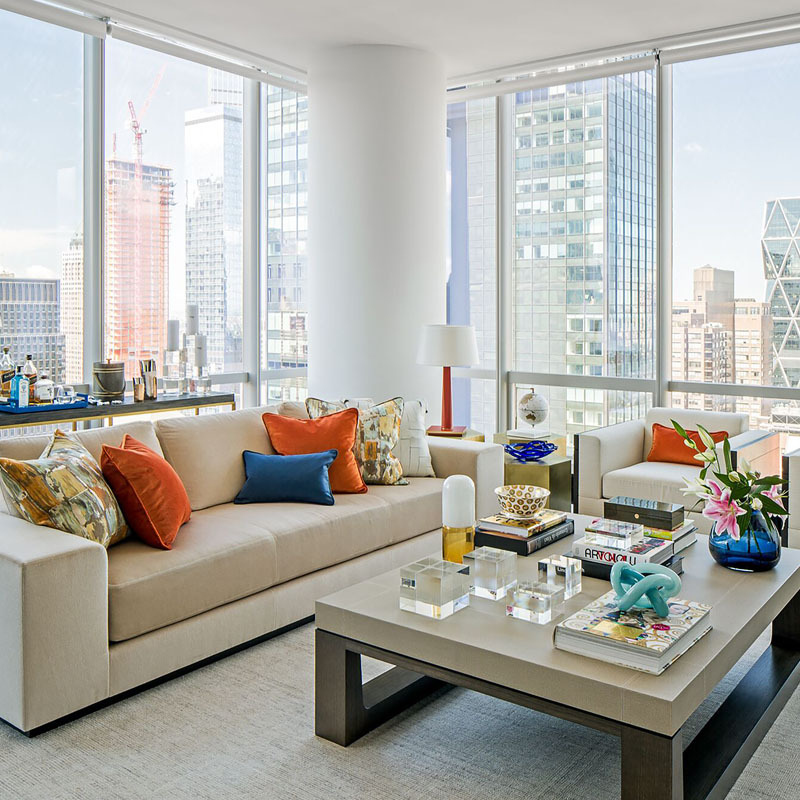 Lucky for you, these are the best spring home makeover ideas Décor Aid interior designers all agree on. 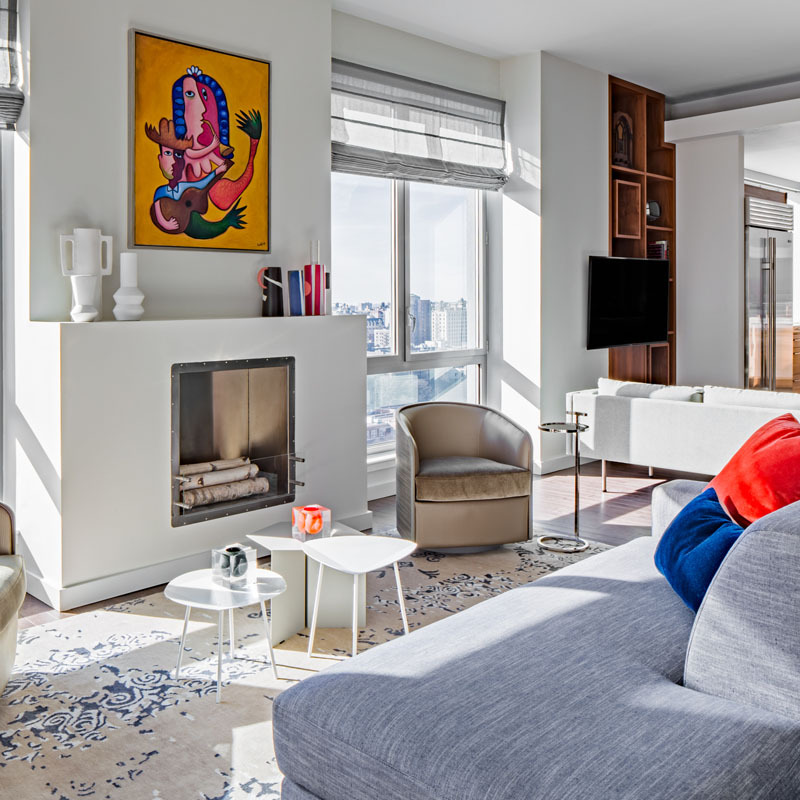 From the expected shots of bold, energetic color to much-needed storage solutions, here’s our take on how to better prepare your home for the season ahead. When it comes to essential spring decor ideas it probably goes without saying that a change in color schemes is key. Instead of comforting tonal tones and having to rely on a play on textures like you do in the winter, go for bright and bold hits of color. And since there are an endless amount of colors to choose from, go with what feels instinctively right for you and your home. Sure, a vibrant shocking pink is certain to ring in the season, but you can also opt for a more subdued yet lively chartreuse or a sunny faded yellow. Whatever the case, keep the look light by using a range of electrifying colors in small doses like bud vases, pillows, and throw blankets. This way when winter comes around next, you’ll be able to quickly swap out decorative summer extras for more seasonally appropriate décor. Ask any interior designer about the best place to start when looking for spring home makeover ideas and they’ll be sure to mention that it all comes down to flooring. From types of flooring to finishes, consider flooring solutions as a foundational starting point during the interior design process. And since the season is all about refreshing ideas, bring a room to life with a bold, vibrant rug that’ll awake the senses. Take the grand foyer above for instance, if it were outfitted with a neutral, muted rug, your eye wouldn’t have anything to fix on as everything else in space is traditionally tonal and symmetrical. Though clients of ours often tend to lock pretty pastel tones in the easter category, there’s something to be said about the soothing feel of going for less intense, lighter pastel hues to really emphasize how spring decor ideas can transform a space. Think powdery lilacs, soft, whispery blues, and faded yellows, reds, and cinnamon. And just like with bold colors, you don’t have to completely cover a room from floor-to-ceiling with indulgent pastel hues. Instead, think about adding little doses here and there via fresh linens, throws, pillows, and again, decorative accessories. Sometimes the best spring home makeover can come organically, but more often than not, you’ll have to think outside of the box to really make a statement. For a look that will feel authentic to you and well-judged, source conversation-starters that veer a tad to the extreme. This can be via an oversized framed piece of art, a memorable heirloom like a tapestry, or just about anything that looks visually energizing. Just be sure that you only stick to a few pieces chock full of personality from room to room, so the look doesn’t come off as heavy-handed or visually confusing. Another expected must-have when it comes to spring home design, floral prints easily available today don’t have to evoke idyllic countryside retreats if you don’t want them to. 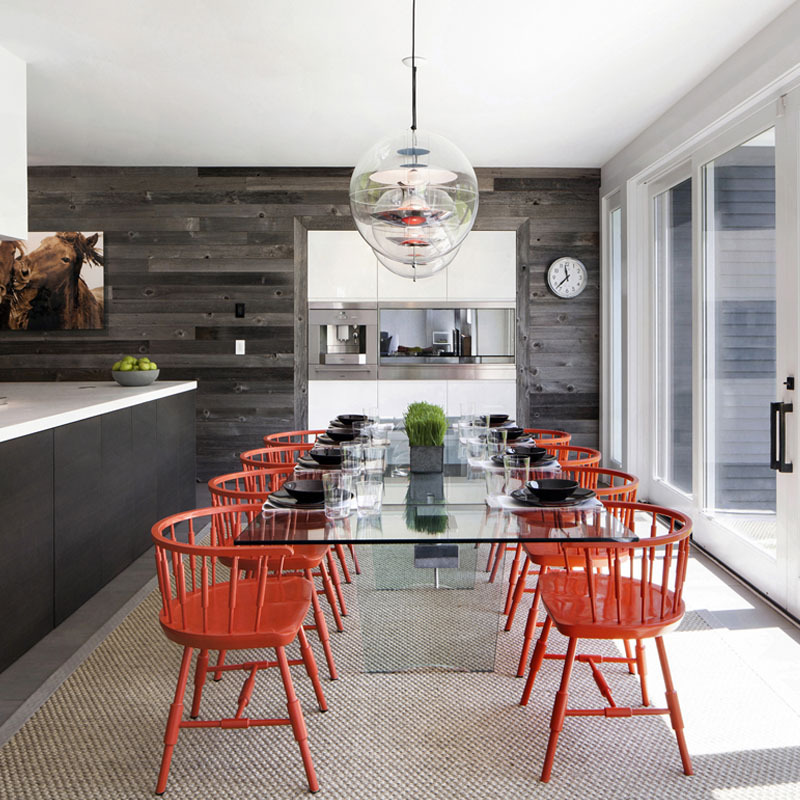 For a contemporary spin, go for modern takes, say with plays on scale and color. Instead of going for dainty or demure floral prints, go super-sized to really add some visual weight to a room. Even better if you add multiple layers of juxtaposed prints for a rich and heady take that’ll look far from French country styling cues, for years to come. So you’ve got a trans-seasonal approach to décor down solid and you’re happy with the look and feel of every room in your home. Do you really need a spring home makeover? If you’re still debating on a justifiable reason, simplify your take by realizing that sometimes it’s all about the little-pick-me-ups that can really make or a break a room, and your day. To cheer up any corner of your home, bring in a selection of dramatically oversized fragrant fresh florals every ten days or so. 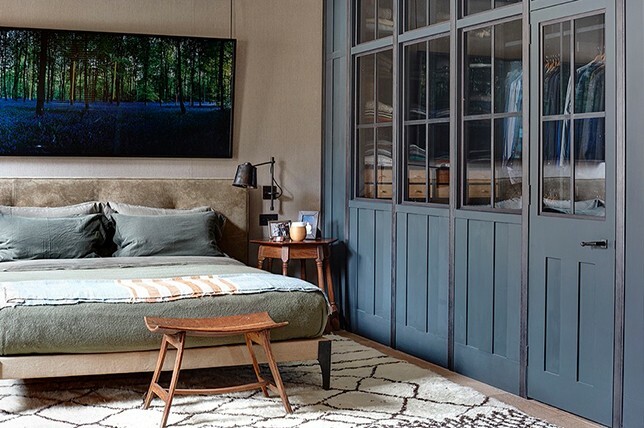 This way you’ll bring a room to live on a regular basis without spending a small fortune or having to allocate a ton of time for a room refresh. Since warmer seasons call for a more casual approach to the way we live and how we dress and decorate, go for a laid back sense of comfort with layers of furnishings and decorative extras to keep the space feeling inviting no matter how great the weather is outside. 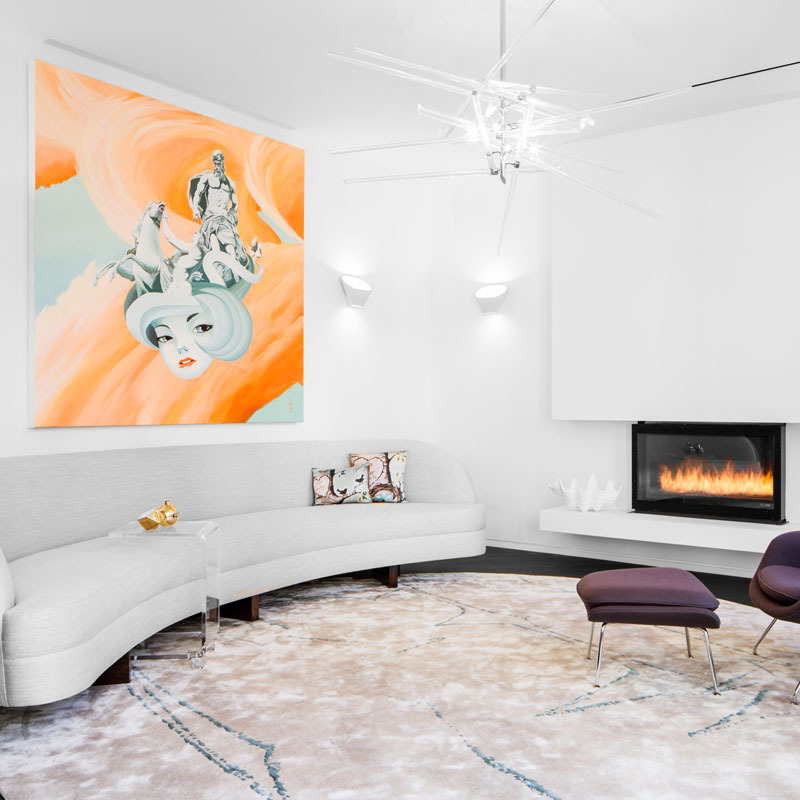 As when it comes time to spring makeover your home, the approach should have a fuller effect than the spartan interior design that colder seasons often work best with. Think maximalist for spring, sparse for winter. Are you looking to instantly add depth and redefine a room in a completely unique manner, but you’re short on needed floor space to make it work? Make a stunning impact with your spring home makeover by making your ceilings look higher with a fresh coat of paint in a vivid hue or even a wall covering. Considered the fifth wall in a room, there’s no reason that your ceiling shouldn’t be making a statement. 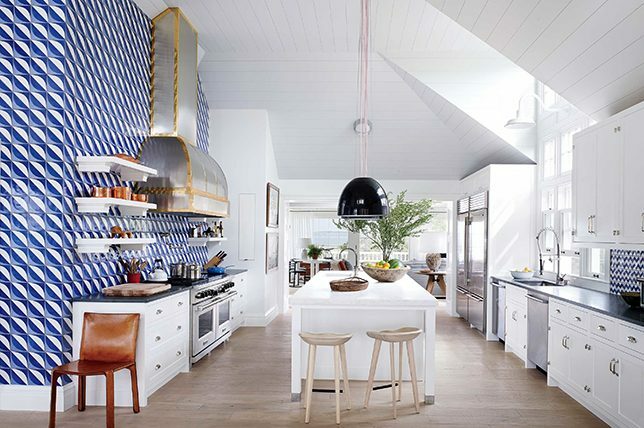 And again, do go for unexpected plays on indulgent color and pattern to really make your ceiling sing. 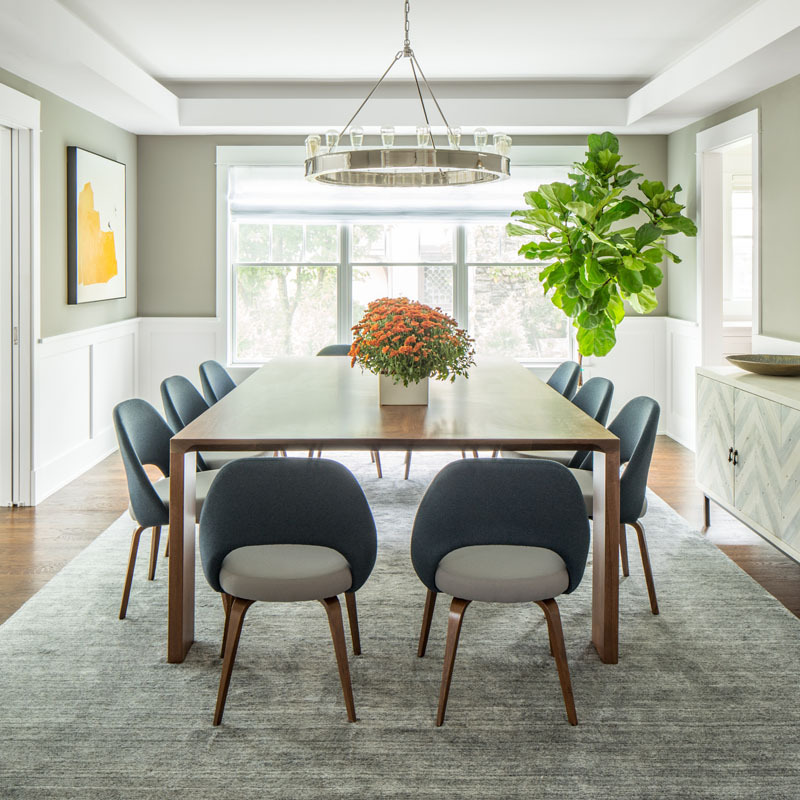 Use intriguing and striking focal points to spring makeover your home for the ultimate in elegant statements that’ll have guests talking long after they leave. Think pieces full of personality, texture, and tonal plays to get the look right. 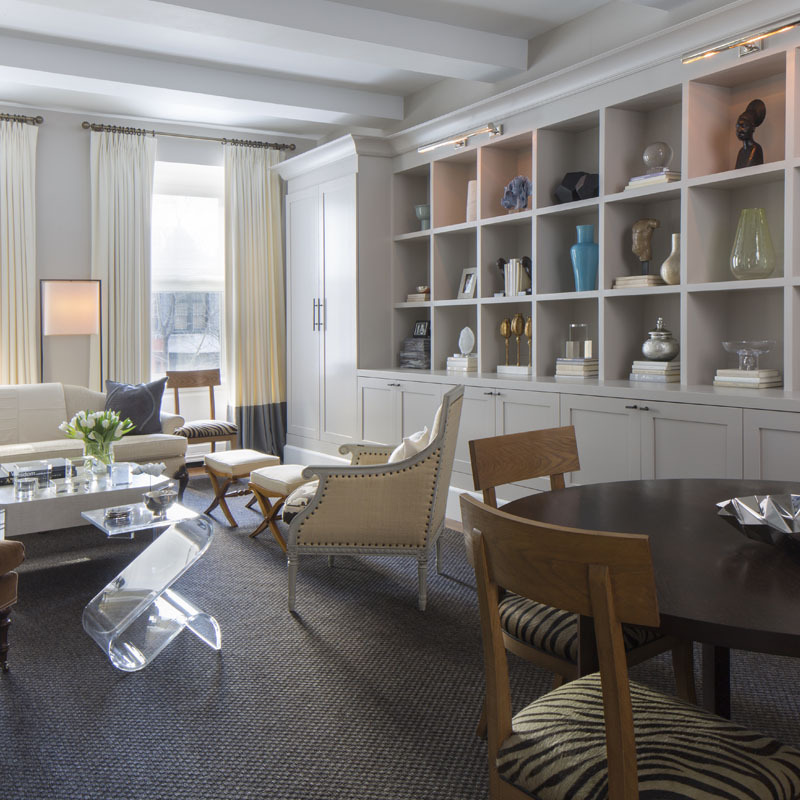 From a single room defining vessel to a range of curated cherished collectibles thoughtfully displayed, go big and stay home! It wouldn’t be a spring home makeover without the welcome addition of off-kilter personality now would it? Make the most of your spring home makeover 2019 by going for accessories and decorative items that are full of play and visual interest. 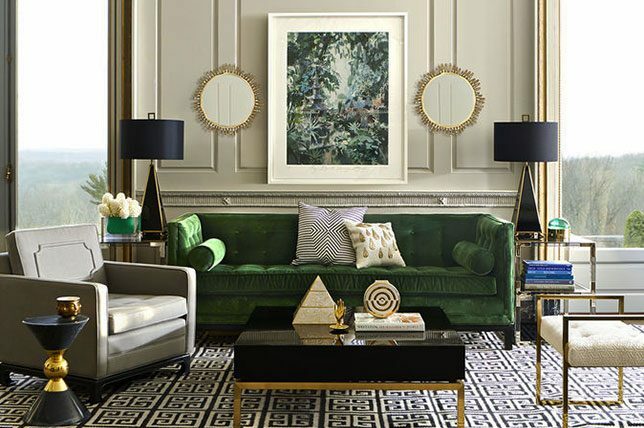 This could come through via asymmetrical silhouettes, character-driven art, and unique vintage scores that will add a fun and friendly spirit to even the most luxurious of rooms. Add some depth to any room in your home with a room-defining accent wall that won’t cost a fortune if you opt for a simple coat of paint. But if you’ve got a more flexible budget as you spring makeover your home, an accent wall boasting a graphic print will keep the looks even more interesting. No spring home makeover would be without a storage solution refresh as you put away heavy winter coats and bed linens and blankets. Go from room to room and edit and declutter every area to start the season off anew. This way your spring home makeover 2019 will also benefit your daily life since you’ll be able to keep your home better organized and cleaner on a regular basis since everything will have a defined storage spot. 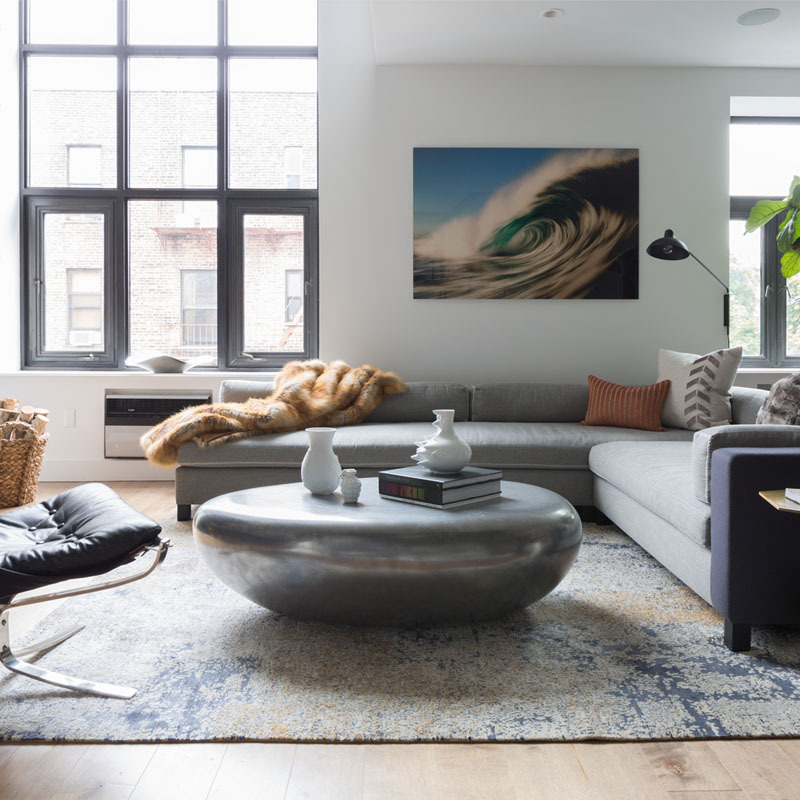 If you’ve been looking at the same decor setups from room to room in your home, there’s no denying that they probably leave you uninspired and even tired. And just because something looks perfect in that one dedicated spot, doesn’t mean that it has to spend its entire life with you stuck there. As you spring makeover your home clear surfaces and move decorative items around from room to room. This way you’ll be able to experiment with placement, and you never know, something may just look better somewhere else. So be creative and experiment away. Just like with storage, closets should take in the best of spring home design so you can easily find and retrieve what you need without searching and making a mess. Channel the best of modern spring decor ideas 2019 and rethink and refresh your current closet setup to make the best use of the space you have to work with. This could be via new storage baskets, shelving units, drawers, and an armoire if you require more closet space. As you chart your spring home makeover go from room to room and take note of what works, and what could be adjusted to your benefit. If you’ve got dead space in one corner but another room that’s got tons of extra space to work with, you’re more than likely doing something wrong. 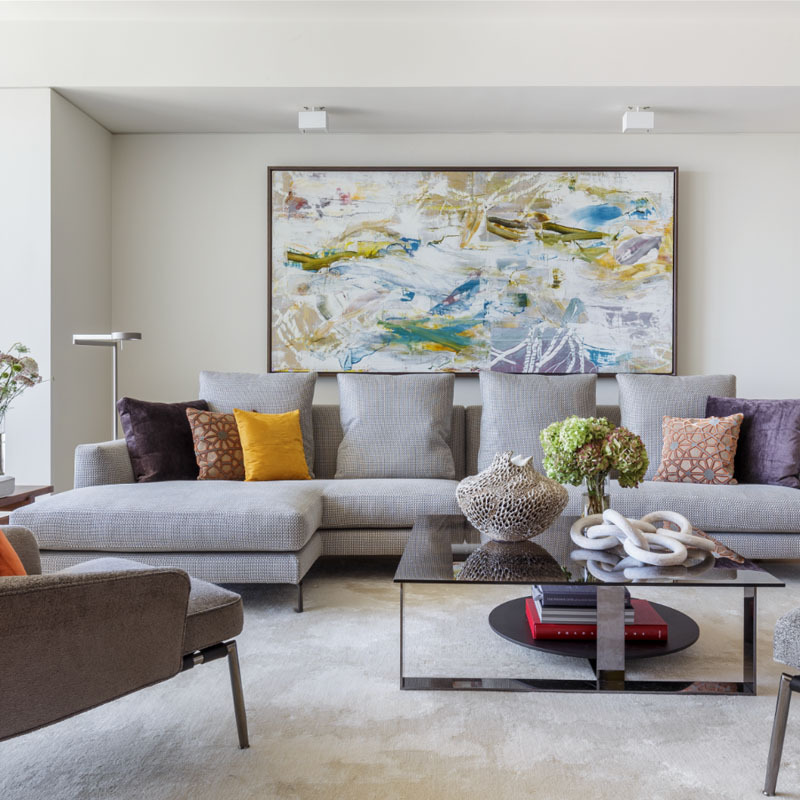 Address this with spring decor ideas 2019 by simply moving things around to create a better sense of balance so one room to doesn’t look overstuffed, while the other feels like a barren wasteland. 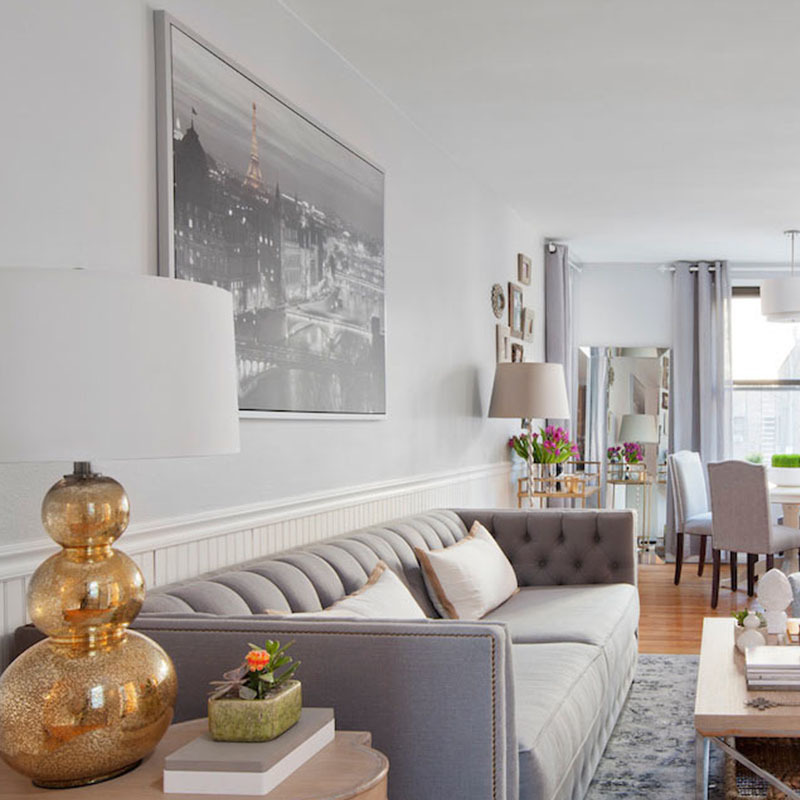 Create a conversational area as you spring makeover your home by rethinking the decorative items and books you’ve housed on your coffee and console tables for a quick room refresh. Think about bringing in new coffee table books, and smaller decorative extras that’ll reinvigorate and distinctly beautify your surfaces. Making for another must-try route to smart spring home makeover 2019 ideas. An eclectic and bohemian spirit are spring home design touchstones since they effectively warm up a space while injecting it with a far-flung, wanderlust sensibility. Use ethnic spring decor ideas to your advantage and create an opulent feel with mosaic mother of pearl inlays on furnishings, and fringed and embroidered textiles for added comfort. 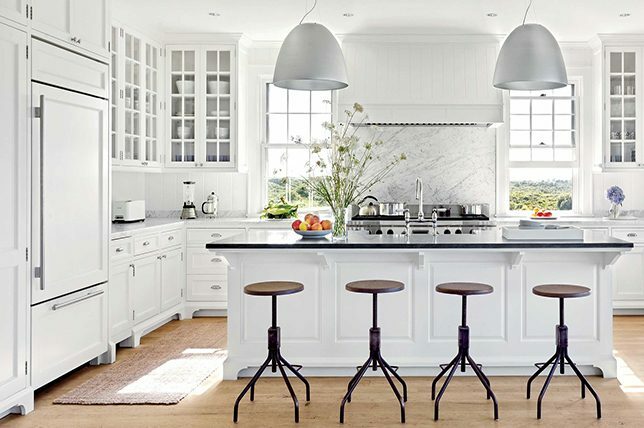 No spring home makeover would be without ultra-bright, crisp white fabrications that feel clean and serene. To make the look visually interesting as you spring makeover your home, go for plays on tonal texture. Plus, white is a foolproof room foundation color that pairs well with everything under the sun and its timeless to boot. And it’ll make spaces appear larger and brighter than they are while highlighting the different scores you do bring in. Take a cue from the great outdoors for your spring home design and take advantage of stylish and modern takes on natural and organic furnishings. This will, in turn, help you can reduce your imprint on the environment in the meantime. 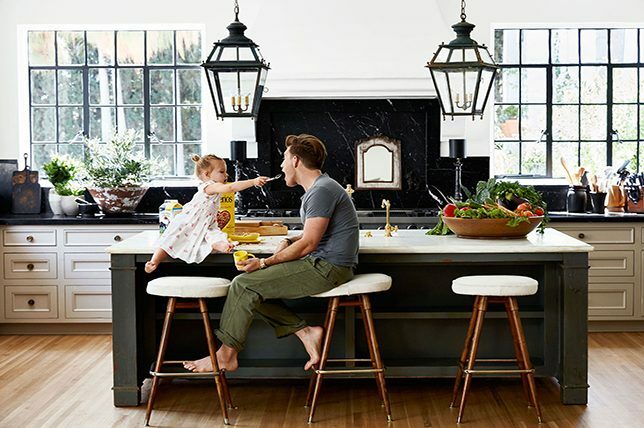 To get the look right so your spring home makeover 2019 lasts much longer than just one season, opt for timeless silhouettes and colors and simple, straightforward design. Another spring home makeover requisite comes via the use of cane, bamboo, and rattan furnishings that instantly evoke the freedom of the season. Even if you have a hyper-minimal home, there’s plenty of contemporary takes on the material that are worth considering. Think uncomplicated straight lines, minimal silhouettes, and no-frills as the right direction when it comes to rattan furnishings as you spring makeover your home. Another no-brainer when it comes to spring home design, plants are a must. So are fresh potted florals so you won’t have to keep going to the store every week to replace flowers cut for vases. They’ll not only lend your home a natural sense of life as you spring makeover your home, but they’ll also do double duty as many plants can help to clean and purify the air around them. Even better is the fact that you can easily and affordably source a variety of plants that take little effort or care. Do some research before you head to your local nursery and take in which plants require the least amount of care and natural daylight so you have your bases covered. Green thumb or not, there’s no reason why your home shouldn’t be stocked with plush plants come spring, summer, or just about any season for that matter.